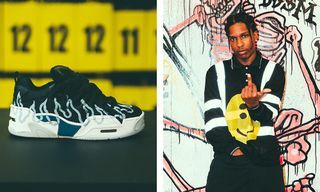 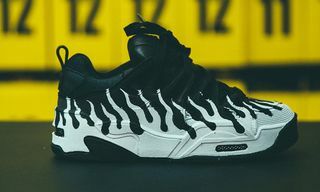 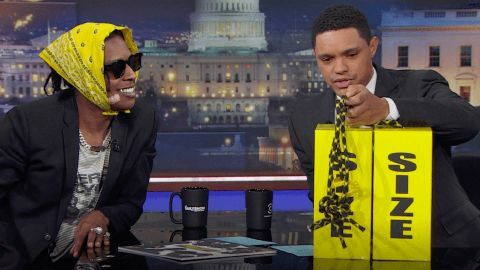 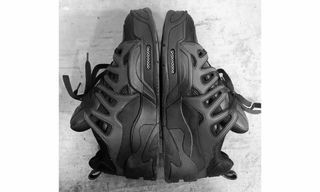 A$AP Rocky was the featured guest on The Daily Show with Trevor Noah Thursday night, as the Grammy-nominated artist talked about his latest album Testing, the mission behind his creative collective AWGE, upcoming sneaker collab with Under Armour and more. 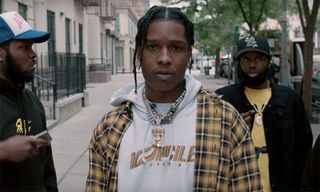 Decked out in a relaxed and casual fit highlighted by a blazer, shades, and a yellow bandana wrapped around his head, the Harlem native starts the conversation off by opening up about his recent EP, while also delving into how rappers from New York compares to everyone else. 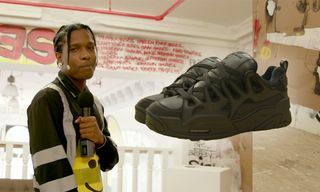 Enjoy the full interview above, then after, learn why ‘TESTING’ is the album A$AP Rocky was born to make.